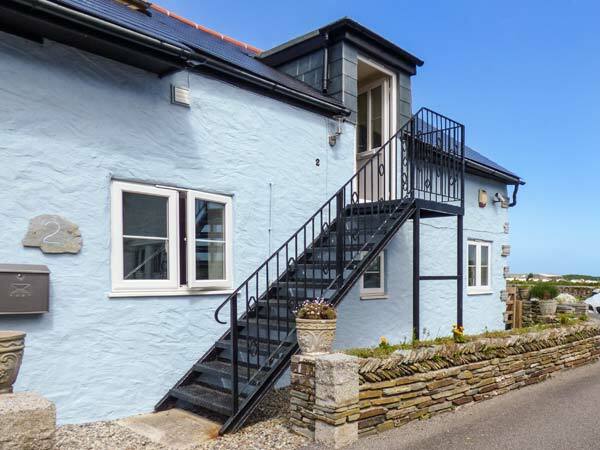 The Blue House is a wonderful, semi-detached holiday home for friends and families, situated in the heart of Tintagel, with the village amenities right on your doorstep. The cottage has three bedrooms, including a double, a double with a zip/link option of becoming a twin, a room with bunk beds and a shower room on the ground floor. Upstairs is an open plan living area with a kitchen, a dining area, a sitting area and a balcony where you can enjoy alfresco dining and soak up the dazzling views. There is also a patio outside with furniture, and off road parking for one car. With so much to see and do nearby, The Blue House is the perfect base for exploring Cornwall's stunning north coastline.